This is how I spent my well-earned holiday. It's Anzac Day today in Australia and after surviving a hellava week; loaded with assignments, I thought nothing would be better than waking up late and hey, a baking marathon is just what I need! I baked 3 items in a day from 11:30am till 3:30pm. 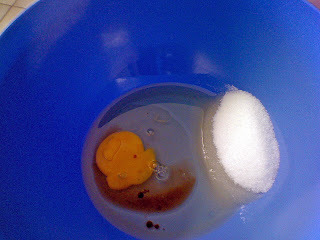 Yeah, I'm pretty quick, :) This is how I used up my leftover cornflakes. I used cornflakes preloaded with banana crunch and nuts. So, it didn't tasted very bland, like just plain stereotype 'Cornflakes Cookies'. It tasted awesome and everyone seem to love it! 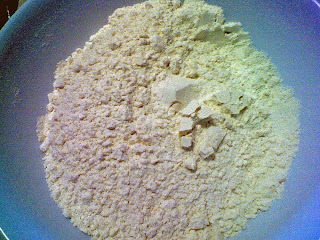 Mix dry ingredient into wet ingredient and stir until well combined. 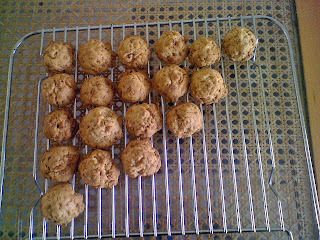 Scoop them onto baking tray lined with baking paper with a melon baller, making sure to space out each cookie a bit. Cool them on wire rack before storing in an air-tight container. 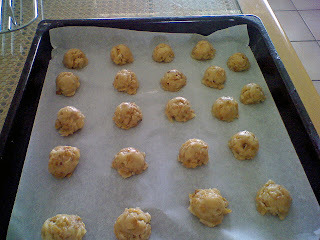 2 comments on "Baking Marathon - Cornflake Cookies"
Yeah, limited tools here so gotta be creative most of the times!